There's a lot of posed photos from this year's Levee! The first one must be the early crew that's just starting to recover from the night before. 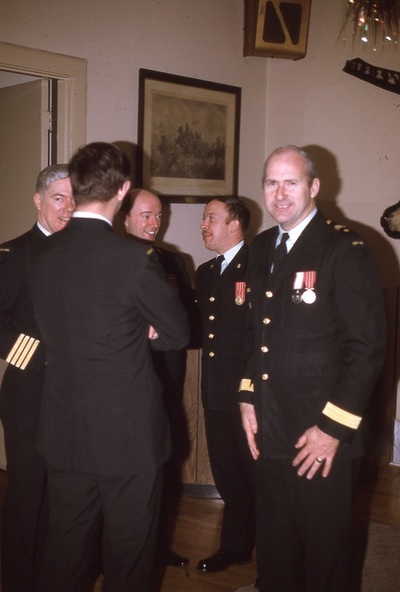 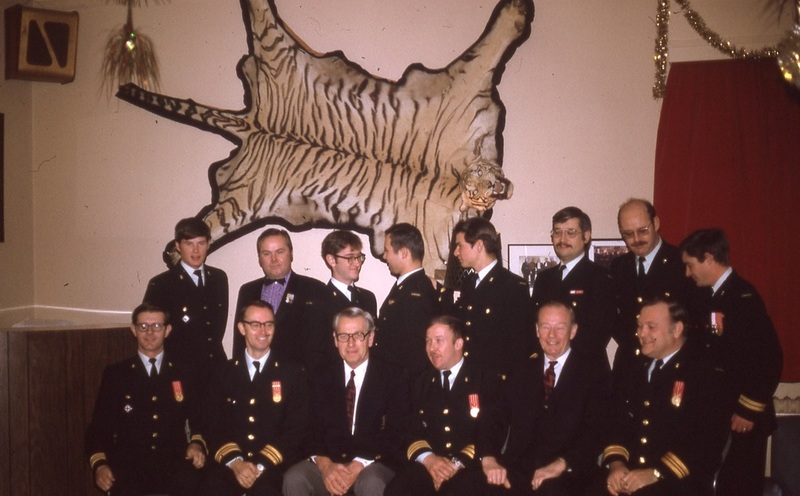 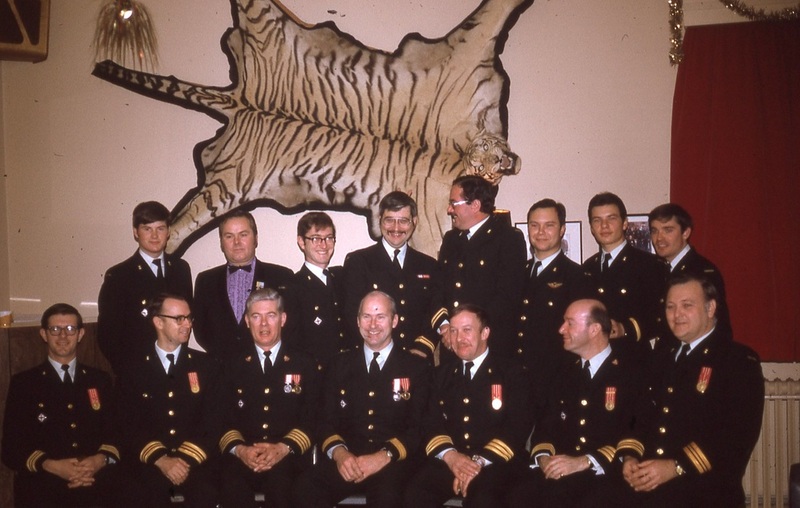 Captain Bob Mugford, Major Barrie Hamilton, Second Lieutenant George Laschuck, Captain Wayne Davidson, Lieutenant Brian Gray, Lieutenant-Colonel Bill Wickett and Major Stuart McDonald. 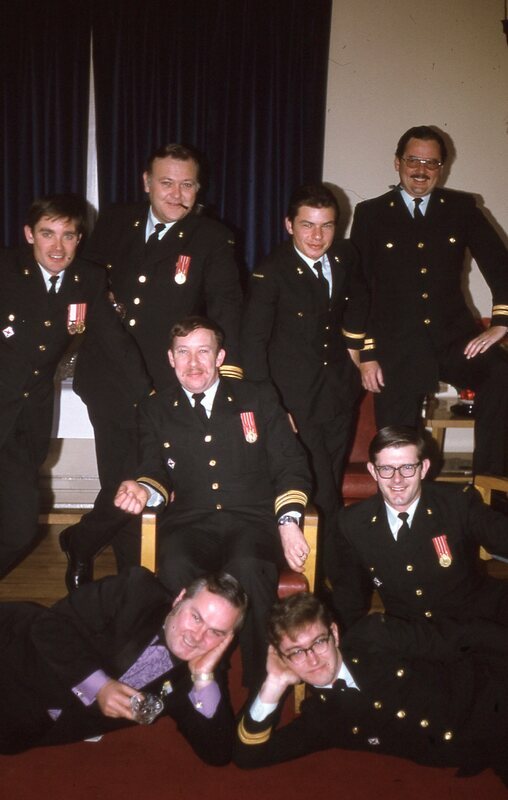 The arrival of the Honorary Colonel Graham Blyth seems to have added some decorum to the group. 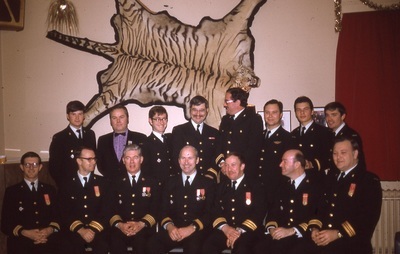 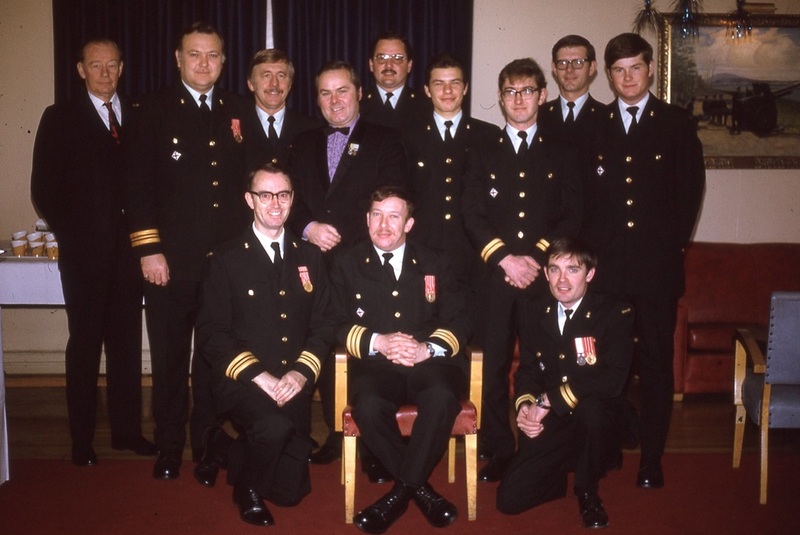 In no particular order - Captain Gary Woloski, Lieutenant Ian Newby, Captain Wayne Davidson, Lieutenant Ted Johnson, Second Lieutenant Laschuk, Captain Bob Mugford, Captain Art Gee, Major Stuart MacDonald, ​Major Vic Stevenson; Colonel Hamm; Brigadier-General Anderson, Lieutenant-Colonel Bill Wickett, Lieutenant-Colonel Les Dean, Maj Barrie Hamilton. 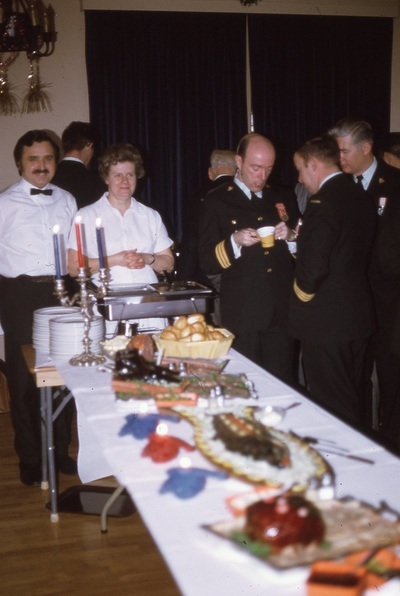 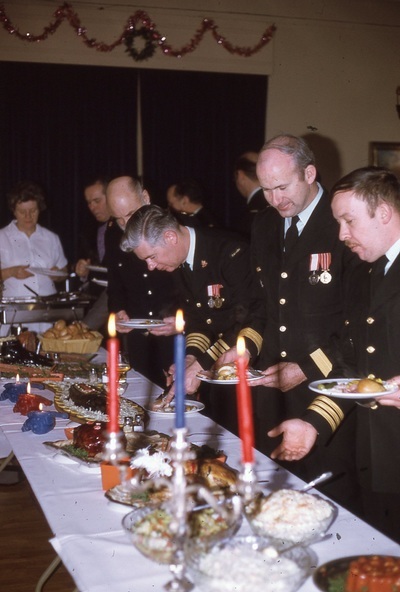 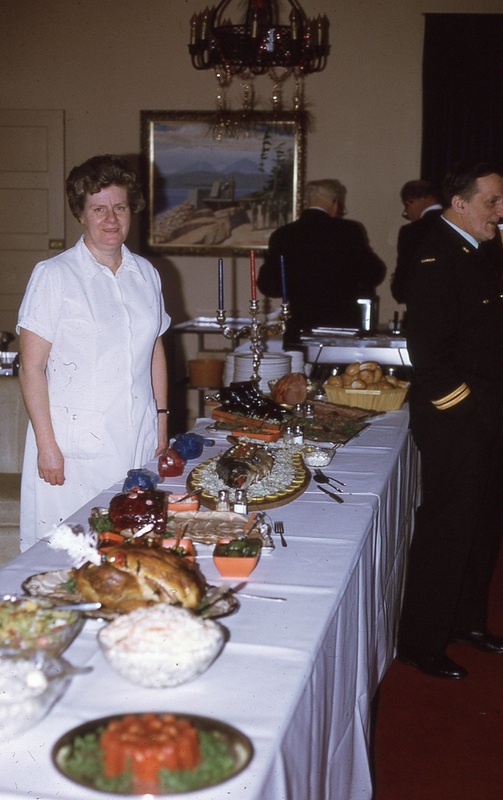 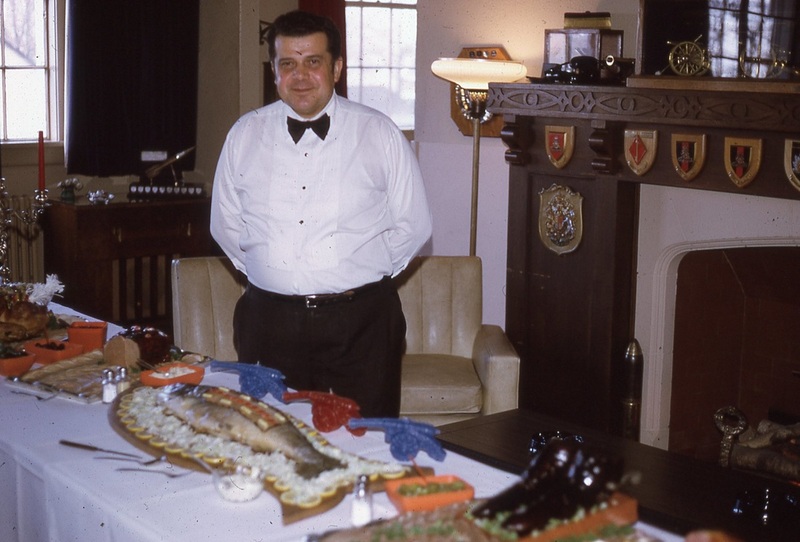 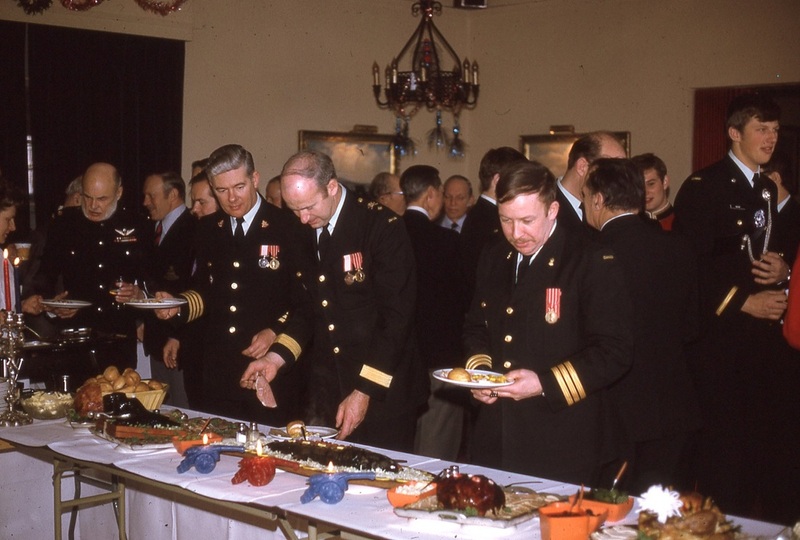 ​The Officers' Mess attracts a large crowd due to the fantastic spread put on by Don and Jean Maskovich.